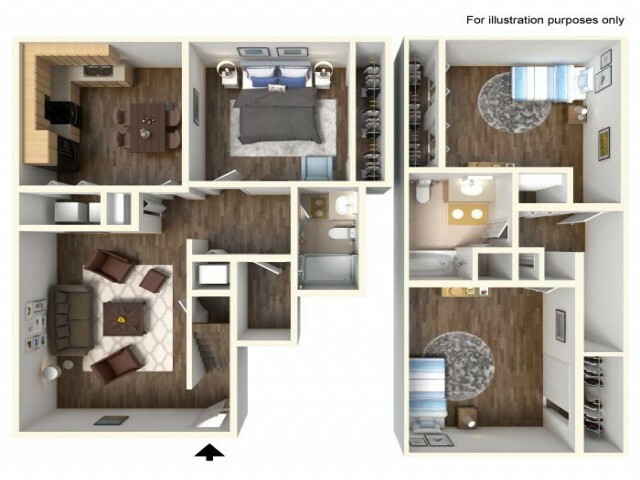 The Voyager is our grand townhome style floorplan boasting 1470 square feet of amazing liveable space! The convenience of 2 full bathrooms, 1 downstairs bedroom (2 upstairs), private entry, and washer/dryer hookup is a must see! The enclosed kitchen with breakfast nook has everything you need.